If you can’t get enough of the rainbow unicorn craze, TOMS now has shoes for you! They are perfect for when unicorn hair, sweaters, and slippers aren’t enough. The shoe brand released slip-ons called Rainbow Unicorn Women’s Classics. These shoes are decorated with — you guessed it — rainbow-colored unicorn designs. These shoes are a must to complete your fabulous unicorn style. The frosted blue shoes also have rainbows on the inside of the shoes, so your feet don’t feel left out. If you want a pair, it’ll cost $55. And if you have kids that love rainbows and unicorns, they have children’s sizes, too. The kids’ size shoes cost $36. 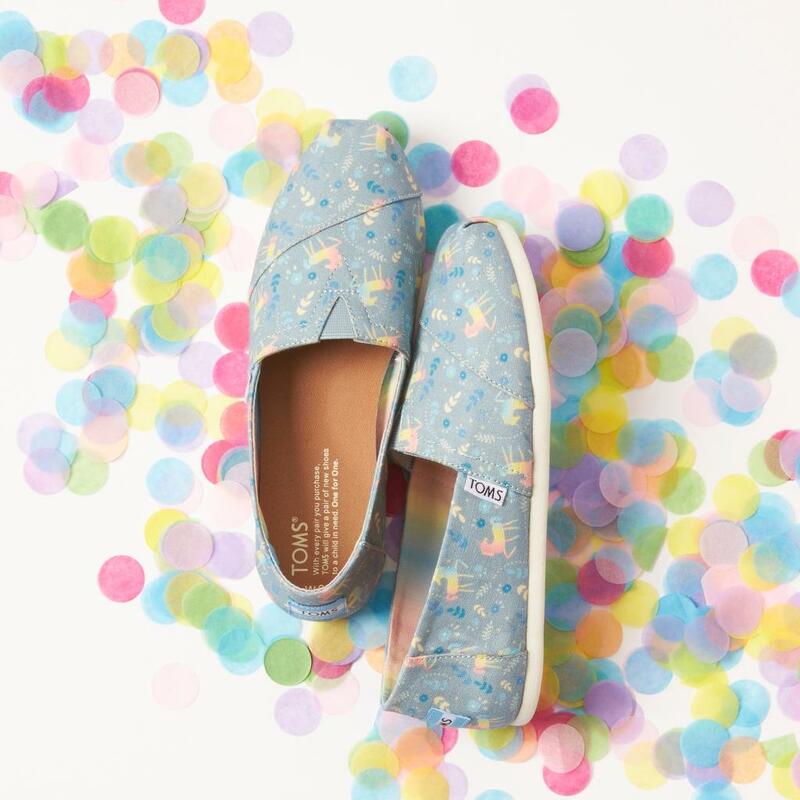 We are so glad that TOMS jumped on this colorful and magical craze. There can never be too many rainbow unicorns in our lives. TOMS doesn’t say when these rainbow-infused shoes will disappear, but some women’s and kids’ sizes are already selling out. These shoes definitely look like we’d be able to walk on rainbows. And while there are a lot of people excited for these shoes, some people are wondering why these slip-ons aren’t available in men’s sizes. Who doesn’t want to get in touch with these fantasy creatures? And everybody wants to walk on rainbows. People are calling for unicorn shoe equality, and we can’t help but agree. Hopefully, TOMS sees how popular these shoes are and produces more for all of us unicorn lovers out here. But in the meantime, get them before they disappear. Your feet will definitely thank you.